If you’re looking for a little more information on how to find and pick out the very best 2-in-1 laptop for college, personal use, or work you’ve come to the right place. We’ve put together a comprehensive guide to help people struggling to choose between all convertible laptops that are currently available on the market. First, let’s talk about some of the do’s and don’ts of shopping for a new 2 in 1 laptop. Really read the details of the specs and features of the products you’re considering. Make sure that you understand what the specs and features actually mean for you as a user. Decide what you actually want/expect to get out of using your hybrid laptop. The choice depends on your specific needs. While there are many different things to consider when choosing your new device, some of them are significantly more important than others. The following list of features and specs should be your chief concern while checking out new 2 in 1 laptop. Of course, you want something that’s attractive and eye-catching too, but we’ve made sure that all of the options on this list fit that bill perfectly. Who is This Convertible Laptop Designed For? Whether you need it for work, school, play; or all of the above; you’ll definitely find the best 2 in 1 laptop for your particular needs on our list. There’s no question that the Microsoft Surface Book 2 was built for performance. Power professional-grade software all day with the latest quad-core Intel processors and the best graphics performance yet with the latest NVIDIA GeForce GPUs. The new Surface Book 2 is a versatile laptop, powerful tablet, and portable studio in one. With the several modes of use, you can easily adapt the Surface to meet any and every need. Lightweight and powerful with unprecedented performance in a laptop of this size. Get ideas down fast with a backlit keyboard and a display designed for touch and Surface Pen. The Microsoft Surface Book 2 offers 3D experience on top of regular viewing to truly take it above and beyond the expected. Surface Book 2 is a sleek, portable powerhouse. Use demanding apps and tackle tasks on the go with up to 17 hours of battery life. Get productive with a full keyboard and large trackpad, or use the interactive touchscreen. The Notebook 7 Spin is a dramatic improvement over the classic Notebook 7. With new fast charging capabilities, it can fully charge in just 90 minutes, and even add 2 hours to a partially depleted battery in just 20 minutes. It comes with Windows 10 OS pre-installed to give you the best operating system available for this type of tech. Samsung Notebook 7 Spin is packed with some pretty powerful guts that are designed for gamers and workers alike, but still only weighs in at 5 lbs. including the battery! Inside are 16 GB of RAM, over 1T of storage space, an Intel Core i7 processor, and an NVIDIA GeForce 940MX. All of this is bundled up in a beautiful 15.6 inch LCD package, just waiting for you to play with it. Built for Windows Ink, the Lenovo Yoga 920 has their Lenovo Active Pen 2 Stylus included in the purchase. The small 13.9″ touchscreen offers wonderfully hands-on control. With an ultra-high 3840 x 2160 native resolution, IPS technology, and an LED backlight, you’re bound the enjoy an amazing on-screen experience. Featuring an 8th Gen Intel® Core™ i7-8550U mobile processor on an ultra-low-voltage platform and quad-core processing performance, you can be sure to have a powerful, effective system supporting all your tasks. The 16GB system memory gives intense multitasking and gaming capacity. The Lenovo Yoga 920 offers a competitive 360° flip-and-fold design and four versatile modes — laptop, tablet, tent, and stand. Lenovo Transition automatically switches specific applications to full screen when changing from PC to tablet, tent, or stand position for ease of motion through all your applications and uses. The Thunderbolt port, 2 USB-C ports and 1 USB 3.0 port offer connectivity to all your devices. Featuring the newest 8th Generation Intel® Core™ i7-8550U, NVIDIA GeForce and running Windows 10 Home 64 bit, the HP Spectre x360-15 Quad Core is a force to be reckoned with. Offering HP’s Wide Vision FHD IR Camera with integrated dual array digital microphone, your video chat capabilities will hit a high like never before. The exceptional 15.6-inch diagonal 4K IPS eDP micro-edge BrightView WLED-backlit screen support an amazing picture quality and shutter speed. The Spectre supports active stylus compliant with Microsoft Ink for effective use in several different manners, such as tablet vs. tent. With one Thunderbolt 3, one USB-C, one USB 3.1 Gen 1, and one HDMI port, you can connect a multitude of devices or components. The HP Spectre is not a gaming laptop, but it overclocks well and the graphics card allows to play games smoothly. 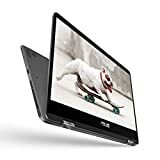 If you don’t need a ton of processing power, the 12.5-inch ASUS CB Flip is definitely an attractive model with its flexible 360 hinge, touchscreen, and Intel Core m3 processor. It also boasts a very reasonable 64 GB of storage and 4 GB of RAM. It also has the particularly neat feature of working on or offline, whether you have a connection to the internet established or not. It provides 10 hours of battery life per charge, and charges pretty quickly as well. This makes it great for days when you’re on the go, whether you want to use it for work or play. It will run professional grade software and mid-level games with ease. ASUS is known for making affordable tech, including 2-in-1 laptops. The ZenBook Flip 14 is an ideal choice for students on the go or professionals that need a portable PC that can do a little something extra. This 14-inch laptop has an FHD panel with a touchscreen display and an Intel Core–i5 8250U processor under the hood. It’s light at only 3.1 pounds and well-built thanks to an aluminum shell. ASUS went with 8GB of RAM in this build, and you’ll get a 256GB solid-state drive as well. The Flip UX461 is rated for 13 hours of battery life, which is actually more like 7 – 9 hours depending on your usage. All the connectivity options you’d expect from a modern laptop are present, but there are a few cool perks on the Flip 14. It has an SD card reader and USB Type-C port along with a built-in fingerprint scanner. The UX461 also has an HDMI port and two additional USB 3.0 ports, so the connectivity options are strong on this one. This versatile laptop converts in seconds and is an excellent option if you don’t need something with loads of power. Battery life is solid, even if not quite as long as advertised and it’s definitely portable. If you do require more pop, there is an i7 variant of this one with 16GB of RAM and a 512GB SSD as well. We’ve always been fans of the HP X360 lineup but, they tend to be pricey at the top end. Well, their latest is a slick budget-friendly convertible that won’t break the bank and takes advantage of Intel’s Optane memory system. The X360 is one of HP’s better-looking systems with clean lines and thin bezels on the side. It has a large 15.6-inch touchscreen panel with a resolution of 1,920 x 1,080 which is a steal given the price. We’re also fans of the 1TB hard drive. Unfortunately, the processor is underwhelming with an Intel Core-i3 although it is from the 8th generation. Another minor drawback would be the memory as it only has 4GB of DDR4, but gets a boost from 16GB of Optane memory. The usual array of ports are present on the HP X360 as well along with stereo speakers from Bang & Olufsen. This model also comes with a digital stylus, a nice perk if you’re looking for a convertible laptop for design or artwork. While an i5 processor would have been nice, this laptop is affordable and gets respectable battery life at around 7 hours. It’s not the type of machine you’ll want to buy for gaming or any multitasking if you use memory-hungry apps, but it’s an excellent choice for students and consumers that need a reliable laptop with a large display. Lenovo could be considered the king of the 2-in-1’s as they’ve produced more iterations of the Yoga than you can count. The Yoga 730 is one of their latest, and arguably the best-looking laptop to make the cut. The Yoga 730 lives up to its namesake by giving you four modes with tablet, stand, laptop and tent modes. Regardless of the angle, your apps and games will shine on the 15.6-inch IPS display. It has 10-point multitouch and a resolution of 1,920 x 1,080. This laptop isn’t necessarily small, but it is light at only 4.17 pounds. Lenovo kept this one in the mid-range when it comes to the guts, so you’ll get 8GB of DDR4, a 256GB solid-state drive, and the Intel UHD 620 graphics chip. The processor is solid with the 8th gen i5-8250U, and you’ll get a fingerprint scanner for additional security. Other features to note include an HD webcam with a dual-array microphone and the handy but often forgotten Thunderbolt port. There’s a lot we like about the Lenovo Yoga 730, and we feel it has a fair price tag for what’s under the hood. That said, the build quality could be better in a few areas so you’ll want to give this one a good look over straight out of the box. The 730 runs Windows 10 and has a battery life of around 6 – 7 hours depending on your usage. With an 8th generation Core-i7, this 2-in-1 laptop is built for speed. 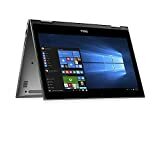 The Dell Inspiron 13 5000 is a great option for media lovers and multitaskers alike, and while it’s specs may not blow you away initially, it’s one of the convertible laptops you can actually upgrade. From a design standpoint, the Inspiron 13 5000 is a bit basic, so you’re not going to get a strong alloy shell this time around. That said, you will get plenty of power thanks to the 8th gen Core i7-855U and 8GB of RAM. The FHD Truelife touchscreen display clocks in at 15.6 inches, and there’s a 256GB solid-state drive under the hood as well. That may sound vanilla, but this laptop actually lets you kick the RAM up to 16GB or the storage up to 512GB which is rare with 2-in-1’s. Other features of interest include x2 USB 3.0 ports, Bluetooth 4.1, and an integrated IR webcam. As you’d expect, this laptop uses integrated graphics with the HD Graphics 620 chip although it’s better suited for gaming than other options due to the i7 and upgrade factor. Overall, this is a great laptop with plenty of power even if it’s not as well-built as others. The price point makes up for that, and the fact you can upgrade the memory yourself should not be overlooked. Battery life is between 5 – 7 hours in most cases, so you’ll want to keep a charger handy if you plan on gaming with this one. The Google Pixelbook is the high-performance brother of the older Chromebook series. The Google Pixelbook is the first 2-in-1 laptop with the Google Assistant built in. Simply press the Google Assistant key on your keyboard or say “Ok Google” to get started. The Google Assistant is always ready to help. Featuring a 7th Gen Intel Core i5 processor, 8GB RAM and 128GB of storage, you will be able to accomplish a lot on this tiny Google Pixelbook. The long-lasting battery delivers up to 10 hours of use and is charging so fast that you can get 2 hours of use in 15 minutes. The innovative 4-in-1 design adapts to whatever you’re doing with the laptop, tablet, tent, and entertainment modes. You can easily access all your favorite apps including Google Drive, Docs, Sheets, Slides, Gmail, YouTube and more. The Google Pixelbook’s design measures 10.3 mm and weighs 2.45lbs. Features a 12.3” 360° touchscreen display, a sleek aluminum body, and a backlit keyboard. Powered by Chrome OS with automatic software updates so you’ll always have the latest virus protection. Some devices are full-blown 2-in-1’s while others are a bit more tablet than a laptop. 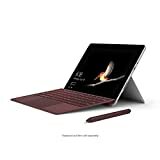 That’s the case with the Microsoft Surface Go, a premium PC that has the distinction of being the lightest machine on our list at only 1.15 pounds. This hybrid has a sharp 10-inch PixelSense display with a resolution of 1,800 x 1,200 which detaches from the keyboard cover with ease. The tablet itself weighs around 1.15 pounds, and the specs are impressive on this particular model. While other variants are available, this version has 8GB of RAM and a 128GB solid-state drive along with a dual-core Pentium chip. Due to the design, ports are limited on the Surface Go. You’ll still get a USB-C port, SDXC card reader, headphone jack, and a Surface connect port but no HDMI out or any other extras. Bluetooth 4.1 and Wi-Fi are present along with an 8MP/5MP camera combo. It has Windows Hello integration, and you can get around 8 – 9 hours of juice during normal usage. Obviously, this one is going to be an acquired taste as it’s essentially a Windows tablet with a thin detachable keyboard. It’s quite capable however with 8GB of RAM, and there are a lot of configurations available depending on your needs and budget. 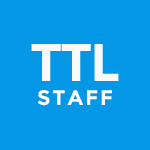 Our second option from Microsoft shares a few similarities with our first. The Microsoft Surface Pro 6 is another laptop hybrid with a detachable keyboard, but this one gives you more powerful options for consumers that need a Pro level machine. The Surface Pro 6 is Microsoft’s flagship slate, which means it’s basically a high-end laptop in a thin, portable package. It has a 12.3-inch PixelSense display with a resolution of 2,736 x 1,824. This variant has a whopping 16GB of RAM and the Intel UHD graphics 620 chip along with a large 512 solid-state drive. It also has an 8th gen Core i7, so you won’t have to worry about power or need to upgrade anytime soon. 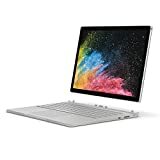 This 2-in-1 has the same cameras found on the Surface Go, and a similar set of connectivity options. There’s a full-size USB 3.0 port, headphone jack, and card reader, but you also get a mini DisplayPort on the Pro. Another advantage of this system are the wealth of accessories with the Surface Dial, Pen Arc Mouse, and Signature Type Cover just to name a few. Microsoft proved you could make a powerful tablet for productivity with the Surface series, and this version is the meanest machine on our list. 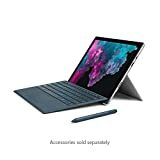 There are 8GB and i5 variants of the Surface Pro 6 as well however if you’re budget is tight, but you want something more powerful than the Go. We understand that you live a busy, on-the-go life and that what you really need out of a laptop that offers a versatile on the go experience that fits your style. Our list will help you find the best 2-in-1 laptop that gives you the freedom that you want so that you can explore, work, and play wherever you are. The best convertible laptop is one that fits all of your needs. 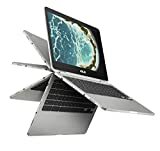 All of the options listed here are powerful, efficient, sleek, and all around well designed convertible laptops. Now all that’s left is to choose from these ten great options and purchase. The sooner that you order, the sooner that you’ll be able to put the versatility and power of the 2-in-1 that you choose to use. The HP Spectre x360 is fast, strong, smart, long-lasting and light on its feet. Thanks to a variety of user modes, the convertible emphasises balance and makes multi-tasking a breeze.